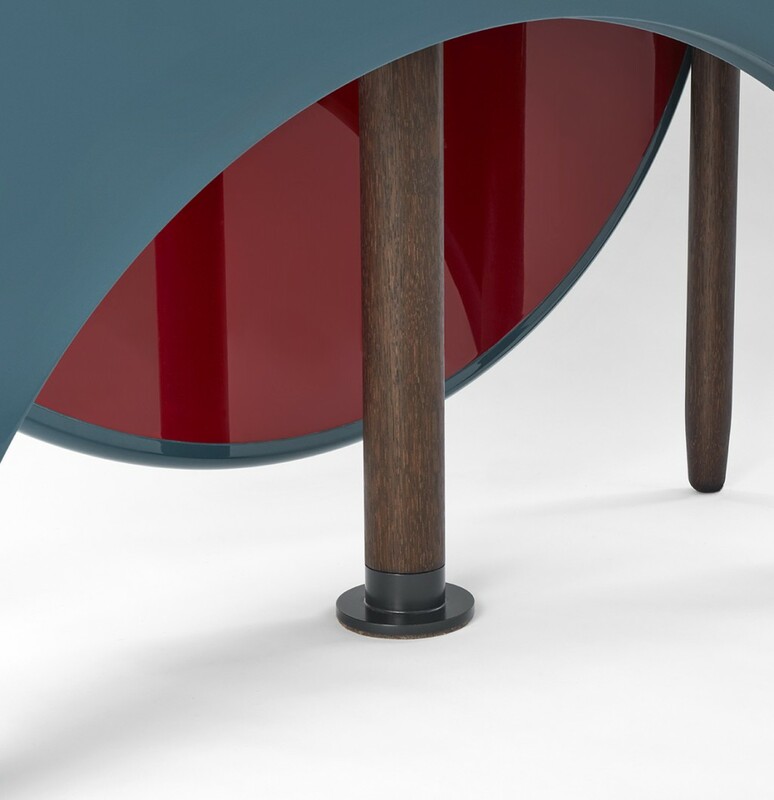 Referencing the Moon and the Celtic sun god in ancient Latin, this extendable dining table comes in two connecting pieces of smoked oak coated in high gloss lacquer. 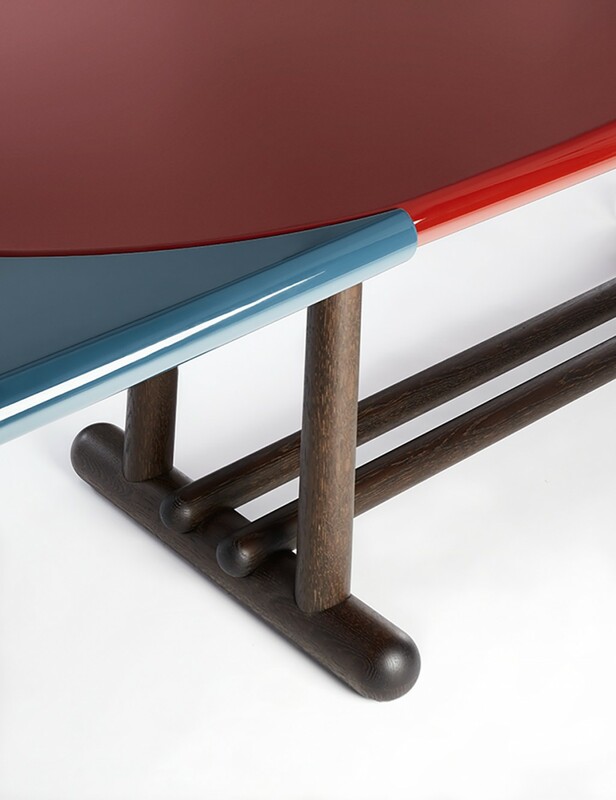 Like perfectly paired lovers, each piece can stand on its own, while also fitting harmoniously together with its partner. 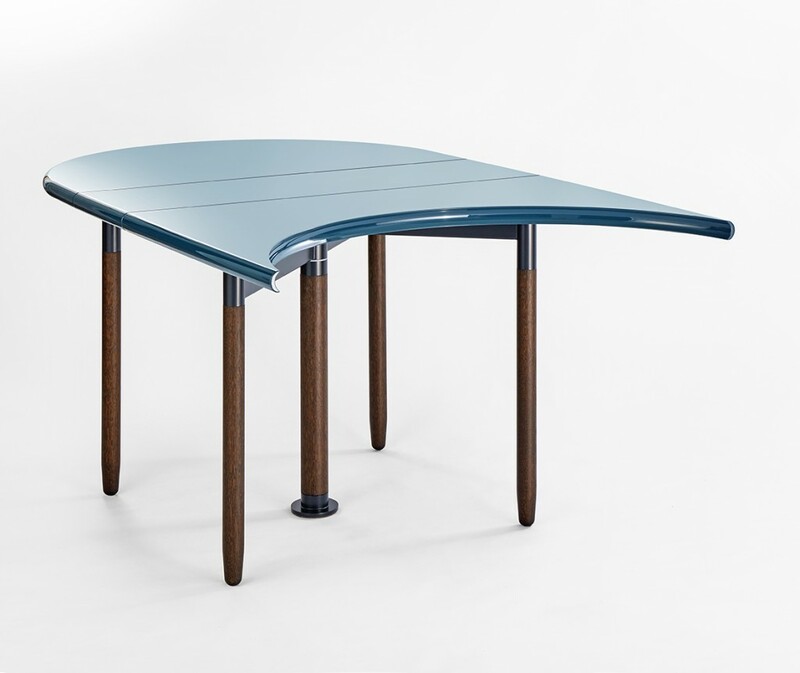 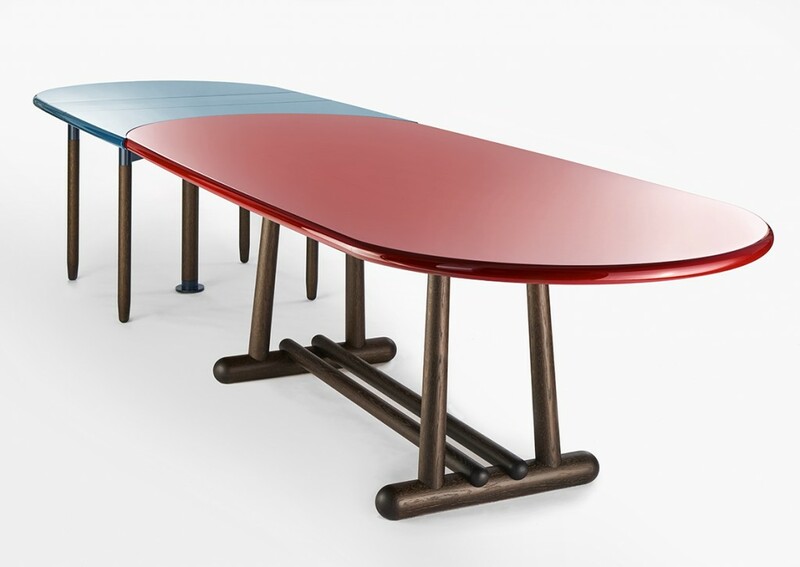 The Belenius table stands on solidly rounded legs and connecting oval shaped feet that are a contemporary take on outré Nordic design, complete with a playful Viking feel. 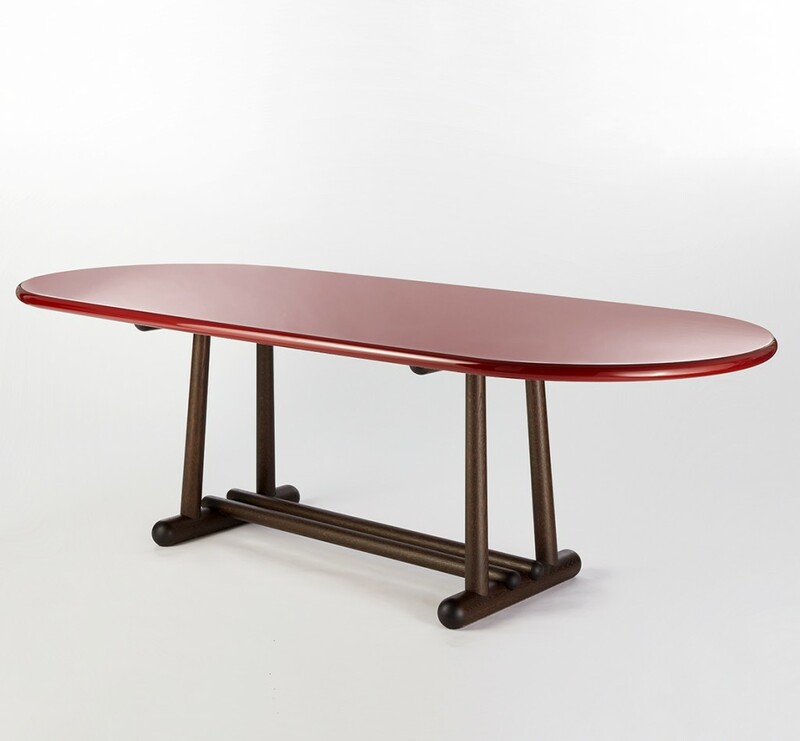 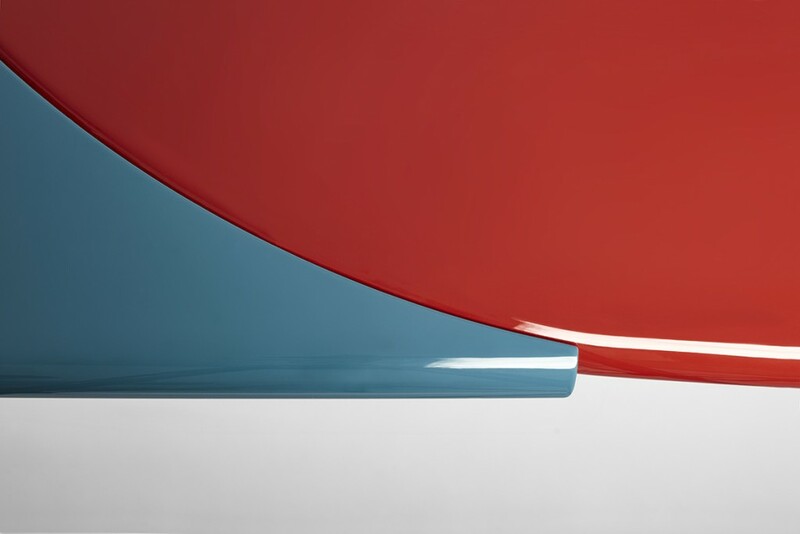 Its oxblood red tabletop offers a gently curved shape that, when locked up with its extension, creates a noticeable “waistline” where the two pieces meet. 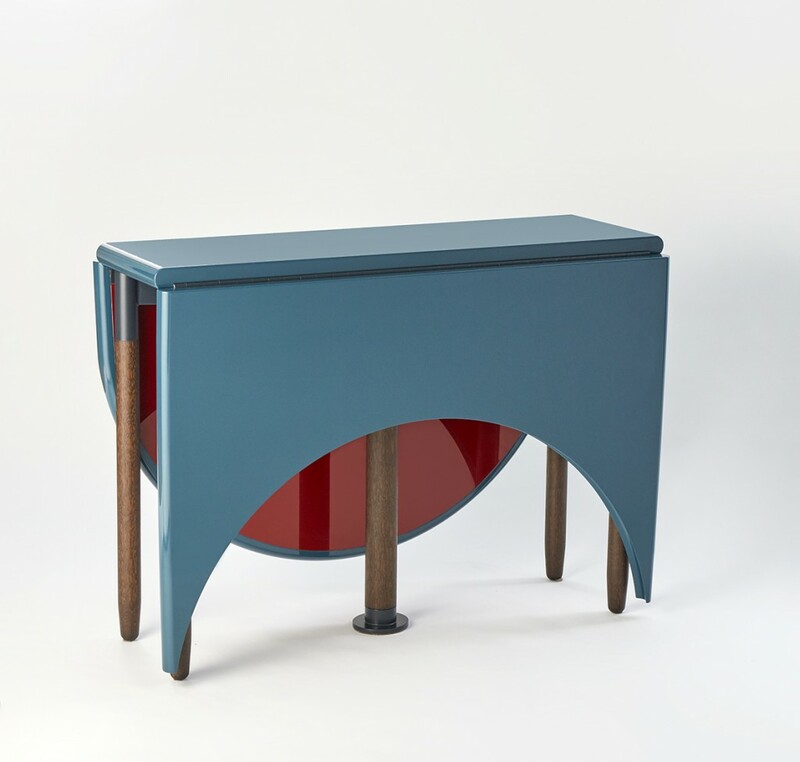 In contrasting petrol blue La Luna, with its folding half-moon shape, functions as an abstract sideboard as well as an extension element for the main table, allowing a full party of 12 (?) 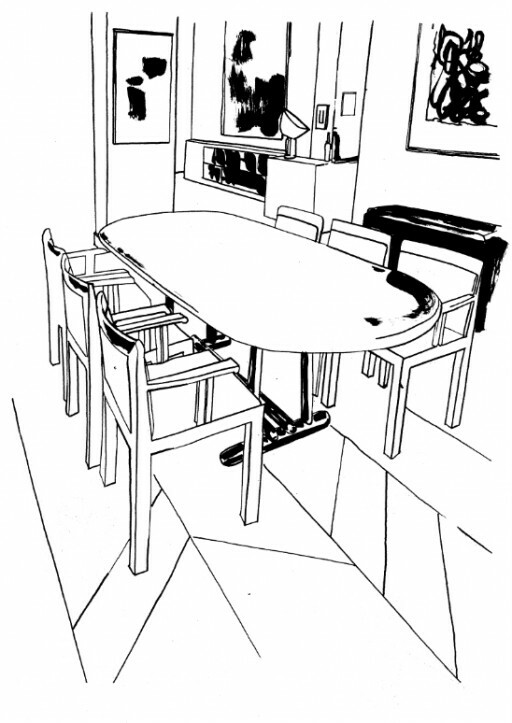 to find a seat at the feast.